This is one of the more budget drones that you can order for your friends and family. 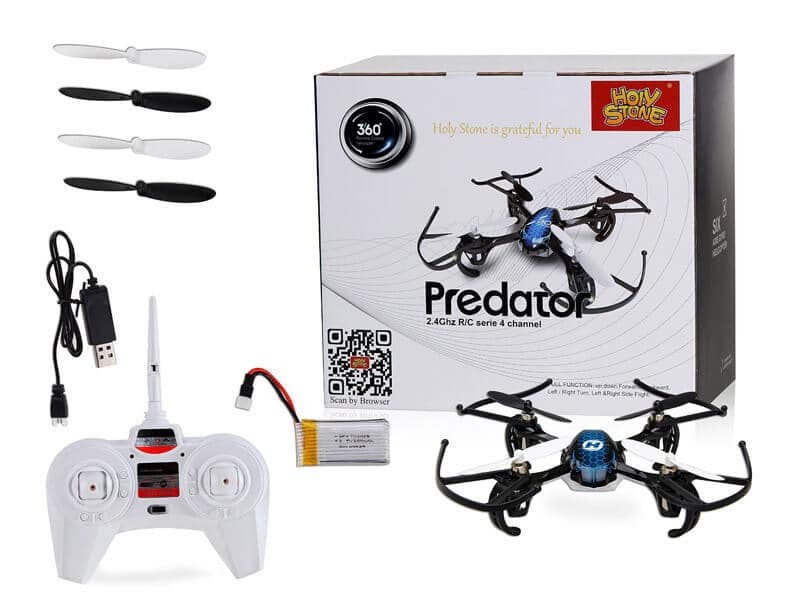 If you want to learn how to fly a drone or if you want to teach somebody to fly a drone, then Holy Stone HS170 Predator surely can be a good option and let’s see why that is the case. Also, since there is not that much support for the beginners from the company, you will have to figure everything out by yourself. This can sound like a bit lazy on their part, but it lets people explore the magic of flying by themselves. But of course, it would’ve been more helpful if they put more effort into giving some better instructions. If you read the user manual, you can see that this drones isn’t intended for children under 14, so you should be careful to whom you gift it and if it’s a teenager, he should use it only under adult supervision. Luckily, this drone doesn’t need a registration in order to fly it, so you can fly it right out of the box. 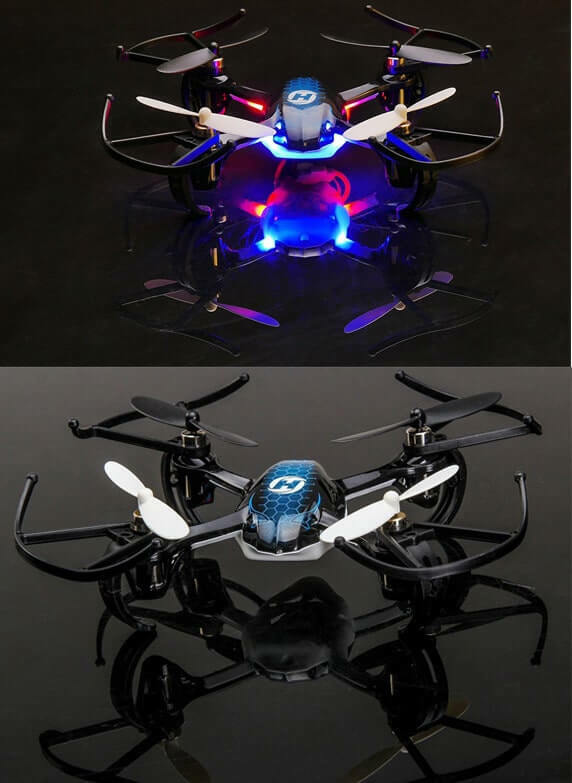 As you can see, the Holy Stone Predator Mini can be flown in either indoor or outdoor environments and it is windproof and shockproof. That’s some quality design right there and even if you don’t get a camera, you can appreciate how it’s built. The chassis is made out of grade-A polycarbonate material which means it is quite resistant, but it is also aerodynamic. the drone will always be oriented in the direction of the controller and no in the direction of the drone’s head. If you get a close look at it, it almost looks like a some kind of weird game controller and there are no actual inscriptions on the controller itself, so it can take some time to learn what everything does. Putting that aside, the controller isn’t even that bad. It fits nicely in your hand and it looks ok overall. 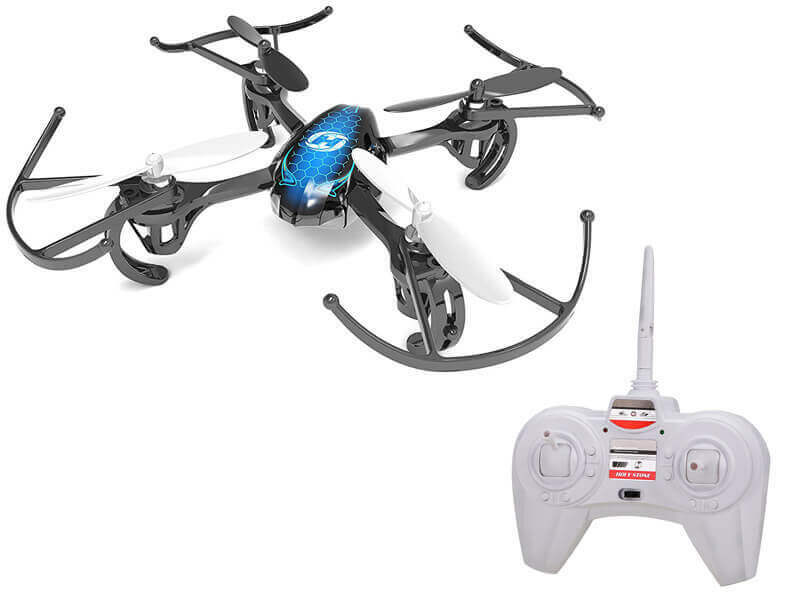 Everything seems quite responsive and if you manage to train a bit, you will find out that you can do some pretty neat tricks with this controller and drone. The Holy Stone HS170 Predator Mini Quadcopter is a quite decent drone actually, and you might get to like it a lot. My main complaint is that it has no camera at all and I think they could have fit even a little camera in there, even if it was bad, but at least it was there. 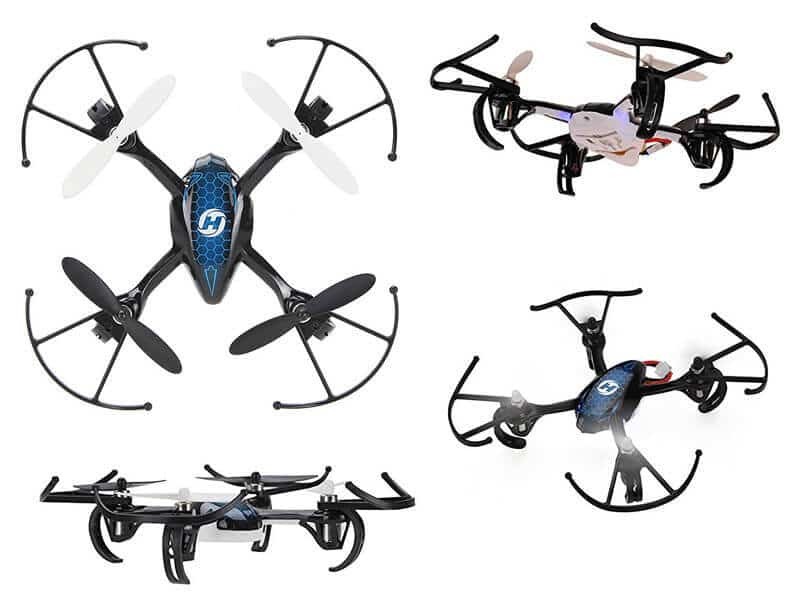 Other than that I highly recommend this drone, but be sure to buy some extra batteries, because they sure drain fast and you don’t want to recharge it al the time.If like this review you can view more quadcopter reviews here.